It’s almost time for SUMMER and Picniic wants to celebrate with delicious sugary treats! 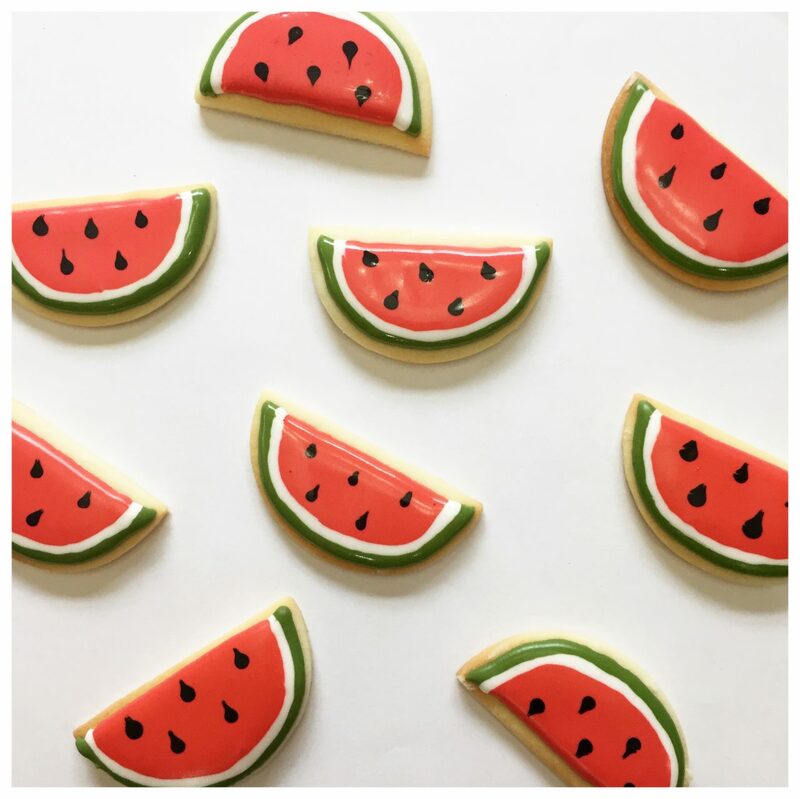 Today we are introducing the yummy watermelon sugar cookies created by a very special baker, The Cake Mama! The Cake Mama is Picniic’s very first Food Blogger and boy is she talented! The Cake Mama is a self taught baker, who’s creations are watering mouths all over British Columbia, Canada! 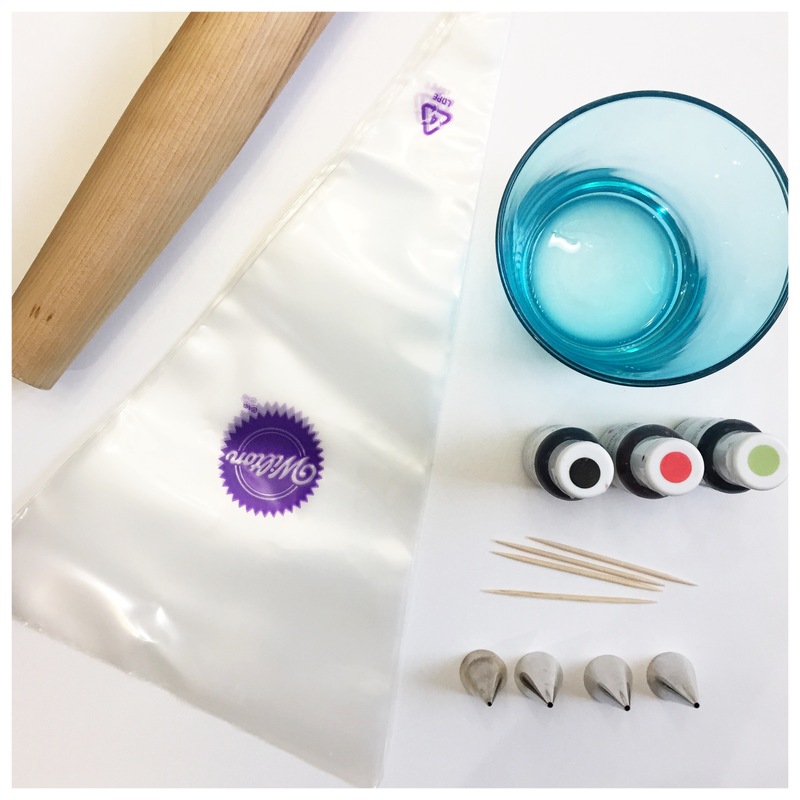 Although she started by building beautiful custom cakes, she has expanded her cooking artillery to include loads of treats like sugar cookies, macarons, cake pops and more! When she is not baking she is a mother to 3 lovely children (two girls and one boy)! Check out her Instagram account to see her creations and find out more about The Cake Mama! “Hi sweet friends! It’s Izabela from The Cake Mama here! Summer is around the corner and there’s nothing that reminds me of it more than some refreshing cold watermelon! 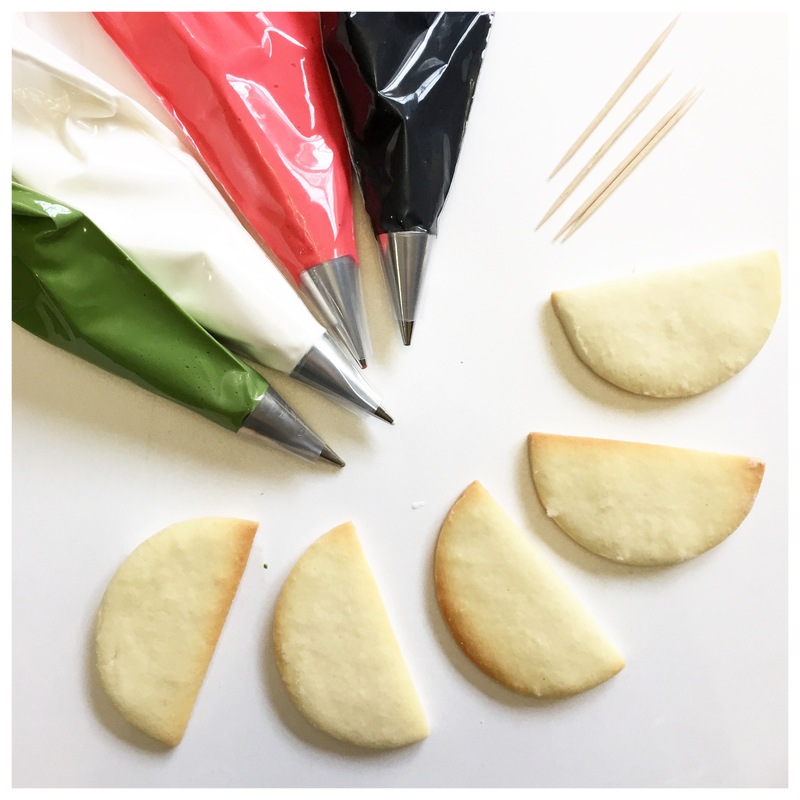 How about you wow your friends at the next BBQ with a sweeter version- a sugar cookie! In a large bowl cream together butter and sugar until smooth. Beat in egg and vanilla. Stir in the flour, baking powder and salt. Cover and refrigerate dough for 1 hour or overnight. Preheat oven to 350 degrees. 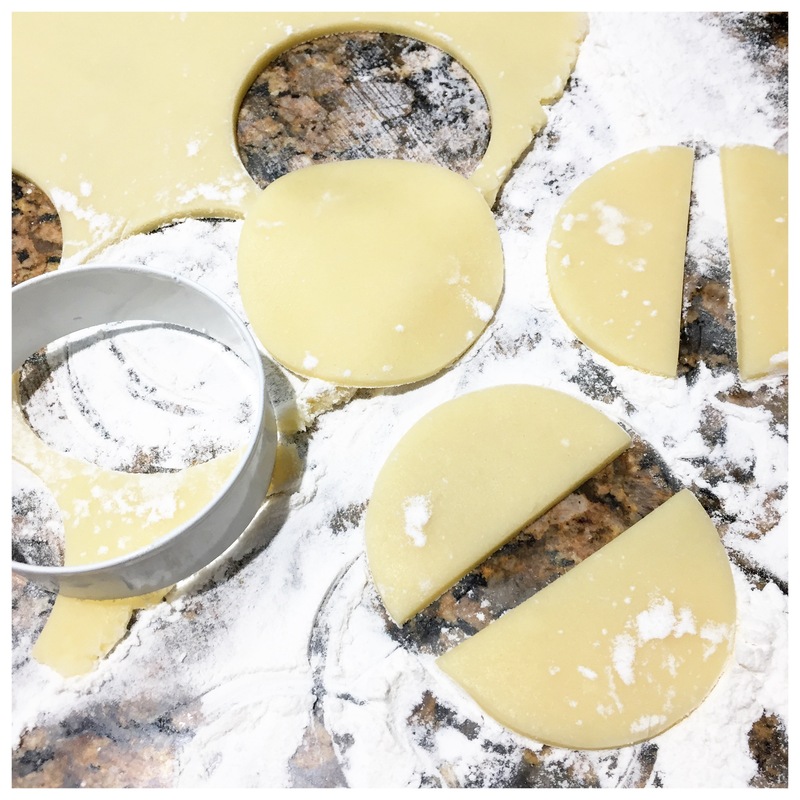 Roll out dough 1/4″ thick and cut into circles using a circle cutter or a small sized cup. Bake for 10-12 minutes on an ungreased cookie sheet, 1 inch apart. Transfer to cooling rack and allow to cool completely before decorating. Cookies keep well up to 3 weeks in an airtight container or frozen for up to 6 months. In a mixer with the whisk attachment, blend the icing sugar and meringue powder until completely incorporated. On a low setting, slowly add water until mixture resembles a thick paste. Turn mixer to med-high setting to whip mixture to ensure meringue powder has dissolved. 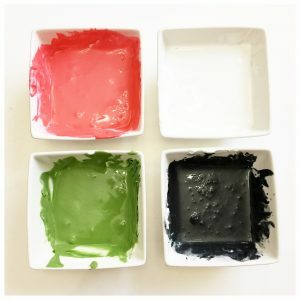 Portion out 4 bowls of royal icing, adding a couple of drops of black, red and green to 3 of the 4 bowls to create watermelon look. Load each bag with each color ensuring you also have one that is only white. 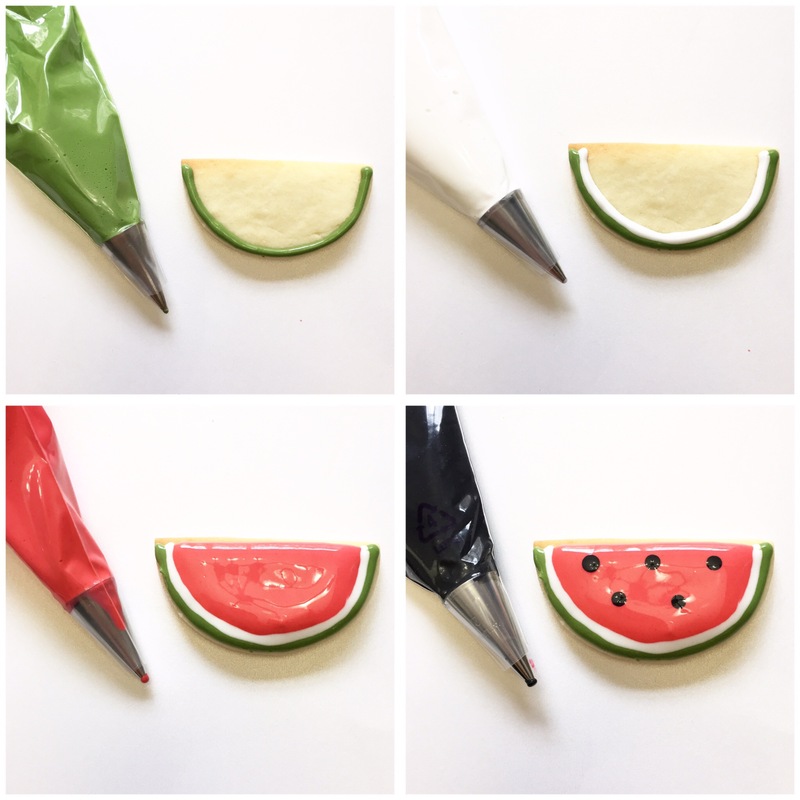 Begin by piping the green icing on the circular side of the semi circle to represent the rind of the watermelon. Next, pipe the white icing to represent the pith. Then fill in the remaining space with the red icing. 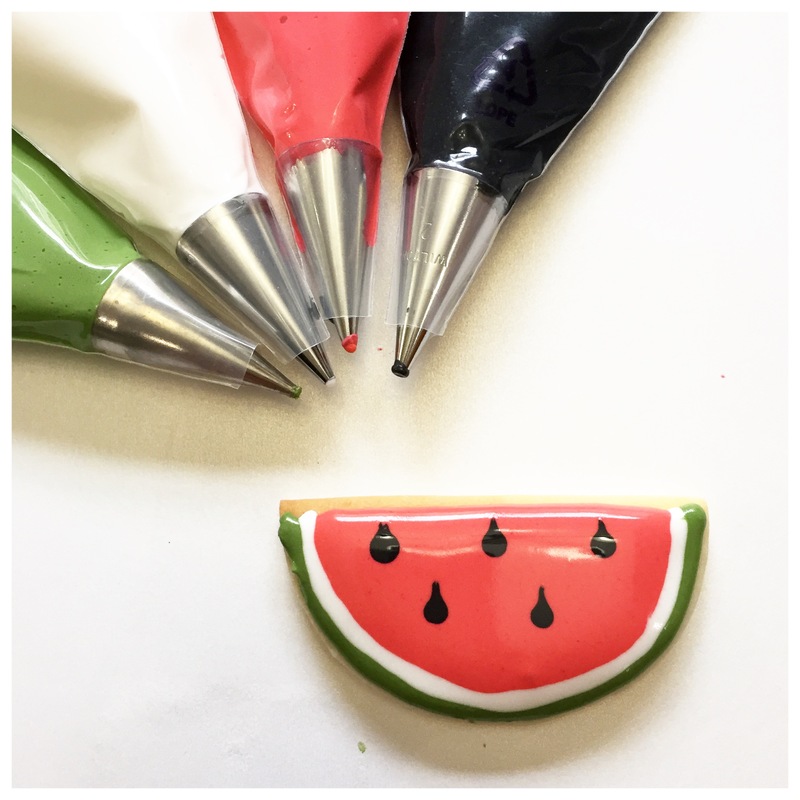 With the black icing, carefully dab a circle onto the cookie taking care not to apply too much pressure to the bag (so you don’t get a blob)! 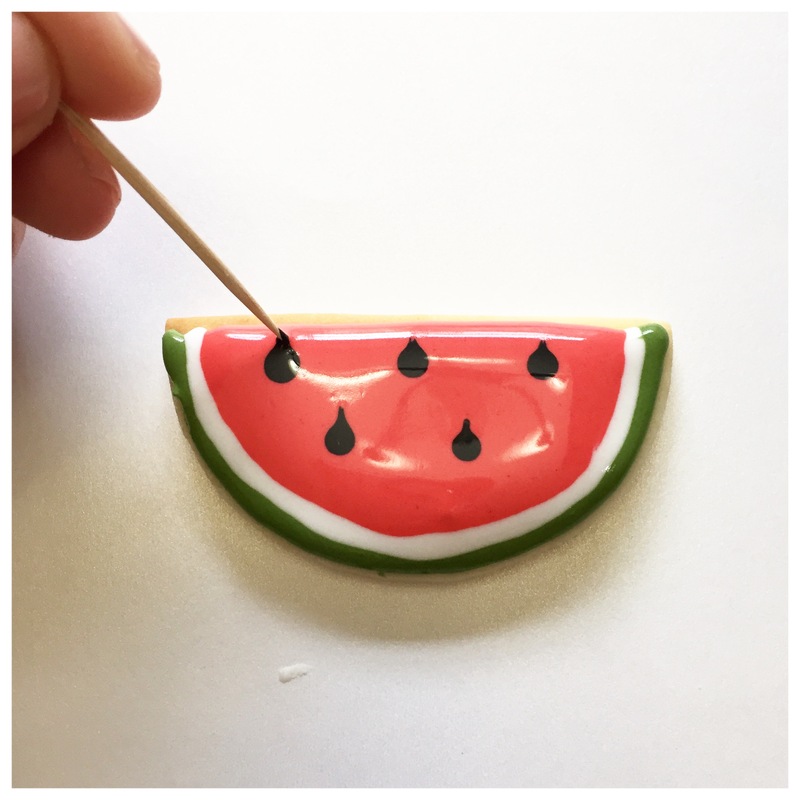 Using a tooth pick start at one portion of the circle and pull away to create the look of a watermelon seed. Cookies should be left out to dry for 3-4 hours prior to packaging.